I found out this week that I was awarded the honor of "Best of Show" in the October BoldBrush Painting Competition! 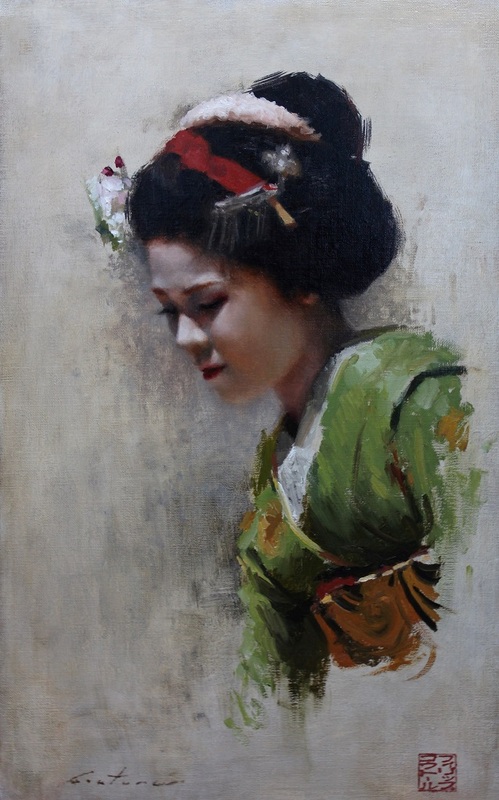 The award was for my painting, "Maiko Satohana". I feel like I just made this huge discovery by noticing your work on the FASO email I get every morning. Your work just blows me away! Congrats on the recent award....I am sure more will be coming. I really enjoy the sense of "quietness" your paintings have. I am looking forward to seeing more! Thank you very much! I really appreciate all of the kind words!